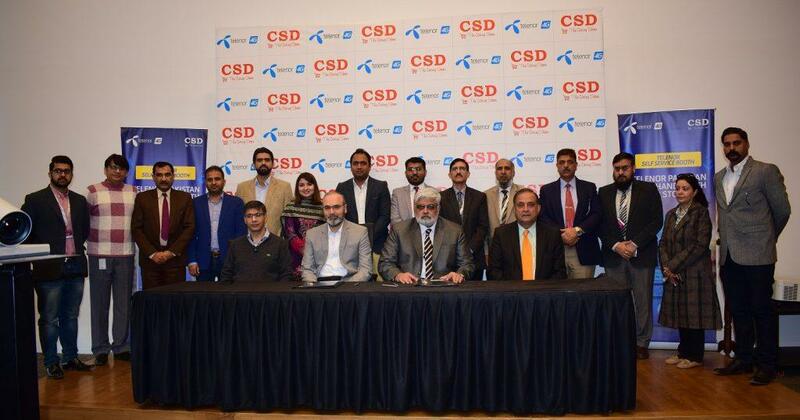 Pakistan’s top digital and telecom services provider Telenor Pakistan has joined hands with the nation’s favorite retail chain CSDfor placement of its state-of-the-art Digital Self-Service Booths across CSD stores nationwide. 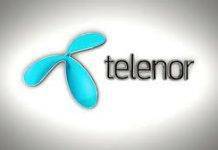 The contract was signedduring a ceremony held at Telenor campus ‘345’ in Islamabad which was attended by senior officials of both entities, including Bilal Kazmi, Chief Marketing Officer, Telenor Pakistan and Maj. Gen. Muhammad Tahir (Retd. ), Managing Director, CSD. 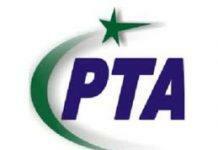 Both officials were positive that the service will prove to be beneficial for mutual customers. Over the last sixty years, CSD has evolved into a major player in the wholesale and retail merchandising business with more than 100 retail outlets all over Pakistan. The presence of Telenor’s Digital Self-Service Booths will save CSD customers the hassle of going out of the store to have their communications and financial services needs met. Telenor’s Digital Self-Service Booths bring nearly all customer service related operations to the users’ fingertips. The machines allow customers to buy new SIMs or replace the existing ones, open new Easypaisa accounts, send and receive money via Easypaisa, pay utility bills, and avail Easyload and Easy Card facilities with simple taps on the screen. Complaint handling can also be availed and done via the machine with zero human involvement. Redefining customer services, Telenor Pakistan set yet another industry-first milestone by introducing the self-service kiosks earlier this year, providing easier, more secure, and round-the-clock access to its products and services. These booths started to facilitate customers in availing multiple Telenor and Easypaisa services at their convenience. Featuring biometric verification, these state-of-the-art machines warrant safety and security against unregistered individuals and unauthorized transactions.